InMotion Hosting Review: Who is it for? Take advantage of the InMotion offer today! Disclaimer: We are an InMotion affiliate and may get paid should you sign up for using our links. Who is InMotion not for? Which solutions does InMotion provide and at what cost? What are the InMotion pros and cons? InMotion is one of the big web hosting companies that can be found out there, but who is it for? Those that are looking for hosting solutions for their businesses. InMotion set’s itself apart by being business oriented. Individuals and companies that are looking to easily and quickly set up websites. Those that are looking for the performance and speed that come from being hosted on SSD servers. InMotion is not for those that are looking for enterprise grade business solutions. It is also not the most affordable web host that’s out there, though the difference, in our view, is meaningless. As you can see in the above screenshot, the Shared business hosting plan is the cheapest plan that you will be able to find at InMotion. Below are all the plans under Shared Business Hosting. In Motion’s Shared Business Hosting offering is mainly geared towards those that wish to create static websites. This makes it rather expensive when compared to other web hosts that can be found out there. You get awesome support. In fact, it’s rare to find a web host that has as many positive support reviews as InMotion. The great thing about InMotion is that every account gets 24/7 U.S based support. The company has not outsourced support to India or some other place like so many other web hosts. It offers great performance. That is largely due to the fact that unlike other hosts that still use spinning hard drive servers, InMotion uses SSD servers which are way faster. InMotion offers free data backups. The company has an industry leading 90 day money back guarantee. The norm with all the other web hosts that are out there is to have a 30 day guarantee. The company is committed to Open Source programs, with sponsorships for WordPress, Joomla, b2evolution, & PrestaShop, among others. Great support for those that are looking to create eCommerce websites. Price: InMotion is not really the most affordable of the web hosts that can be found there. 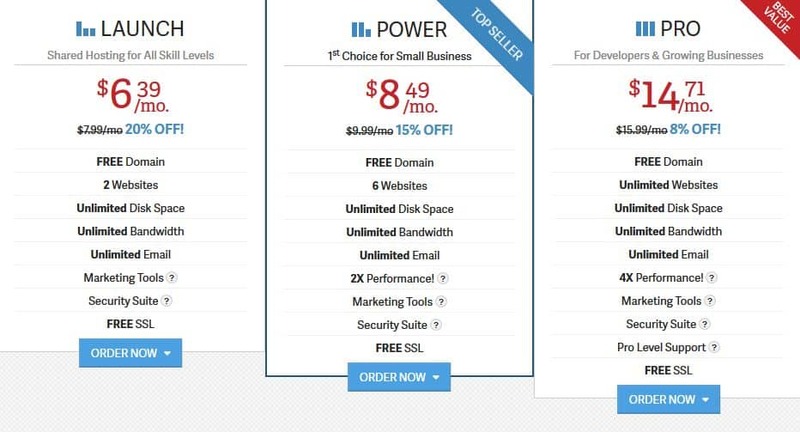 As you can see in the screenshot to the top, the most affordable plan is the Shared Business Hosting plan that starts at $6.39. Compare that with the $1.99 plan from iPage, and you will see that InMotion costs a lot more. However, it has to be said that you get much more bang for your buck with InMotion than with low level hosts. Too Broad: One of the things about focusing on too many products is that a company ends up not being the best at any one of them. InMotion does WordPress, Joomla, Drupal and much more and it is good at these products. But that’s as far as it goes. InMotion is good without being stellar. Though more expensive to run and manage, dedicated hosting offers advantages in terms of speed, flexibility and redundancy. InMotion offers Linux Dedicated Servers, which can be configured in a number of ways to fit your every need. As is the case with each of the company’s offerings, the headline in this case is the availability of free SSDs, which should give you greater speeds. The dedicated servers are hosted at a facility in Los Angeles, California and InMotion offers a fully managed option that comes out of the box with LAMP stack. The dedicated servers are priced beginning at $105.69 and come with a free offer of double the purchased RAM. InMotion compares favorably with companies such as HostGator, Bluehost and GoDaddy in terms of dedicated server hosting. Reseller Hosting allows you to become a host in your own regard, and InMotion offers packages that come with free SSDs, free WHMCS, a Free Dedicated IP, Free cPanel and a Free eNom Domain Reseller account. You can get started for a competitive $15.39. With InMotion’s Website Design Services, you can create your site using the beautiful, custom made and responsive designs that are put together to specifically meet your needs. All that you need to do is lay out your vision and the company has a team of professionals who are on standby to turn it into reality. You can also easily create your website using BoldGrid, a free, high-quality website-builder that comes with each hosting plan. Domain registration is another of the services that are available at InMotion. The company offers Domain Privacy, for an additional $12.99 per year. If you are purchasing them along with any of the company’s hosting plans, domains come free. However, renewals cost $14.99 per year. Before we close, we should reveal what others who have used InMotion’s for web hosting had to say about the company’s services. One of the biggest pluses for the company is that its support is located in the United States. A major complaint with other companies is that they have outsourced support to people whose level of the English language is barely understandable. As you can see in these reviews, InMotion is positively regarded by the majority of its current and former clients. While there are a few dissenting voices, the number of complaints is actually far less than what one would expect with such a big company. 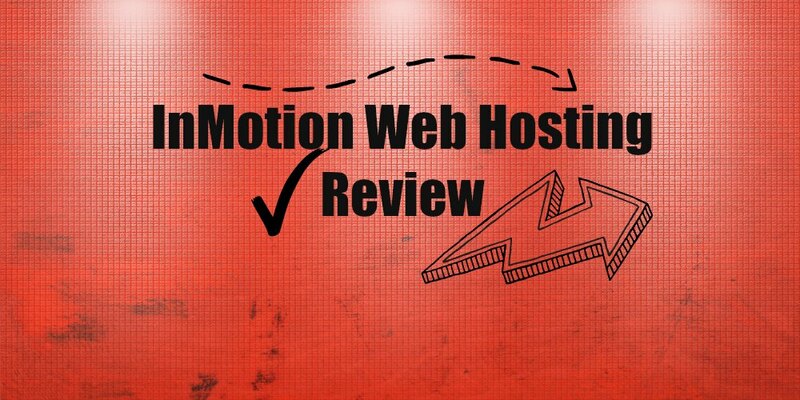 InMotion is one of the web hosts that we recommend to our readers. We hope that after reading this article, you have made your decision on whether or not InMotion is for you. If the answer is yes, then don’t hesitate to sign up using the link below. Disclaimer: We are an InMotion affiliate and stand to benefit financially should you decide to sign up using our link. However, the object of this article was to point you in the right direction as far as web hosting is concerned. We hope that we have been able to do so! Check out the InMotion offer today!